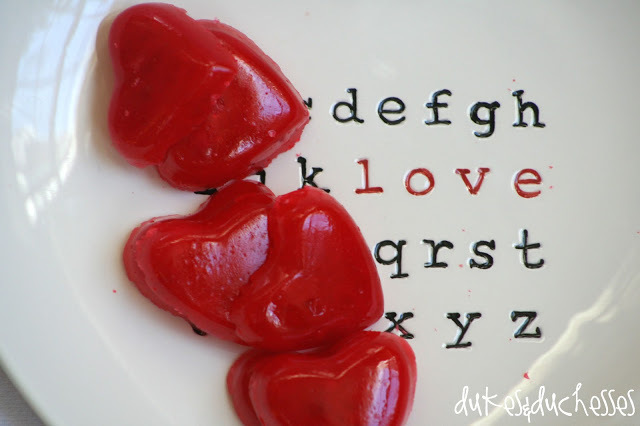 These quick and easy Valentine’s Day ideas are perfect for a busy school day! Even though Valentine’s Day 2019 is on a weekday, you can still show your family a little bit of love. This pop top can holds a Valentine’s Day surprise! 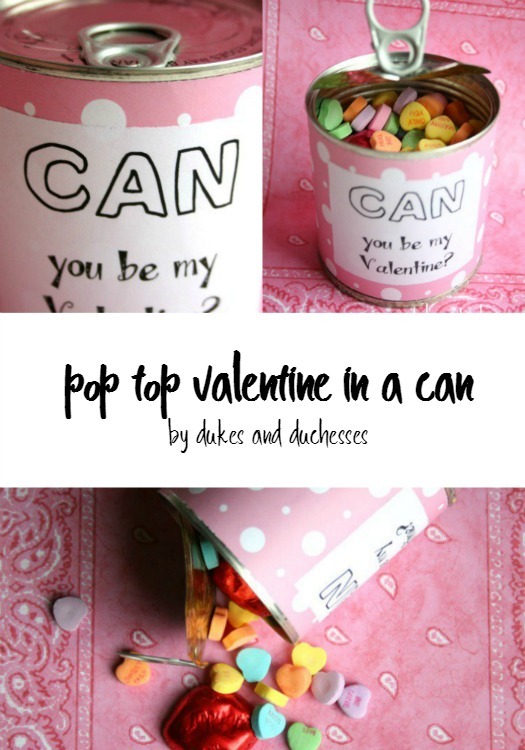 Just remove the bottom end of the can to keep the pop top in tact and fill it with Valentine’s Day treats. 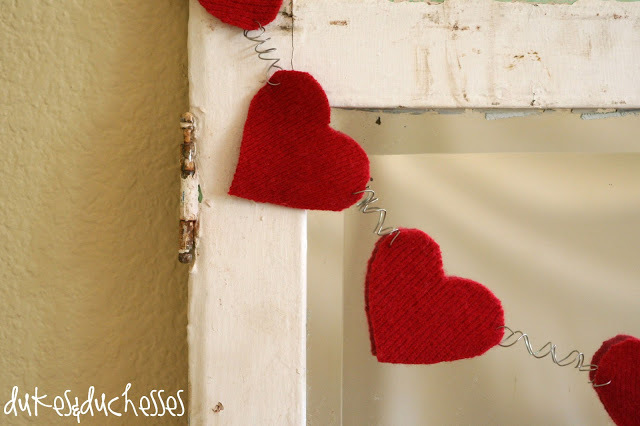 Upcycle an old sweater or find one at a thrift store to make this felted wool heart shaped garland. 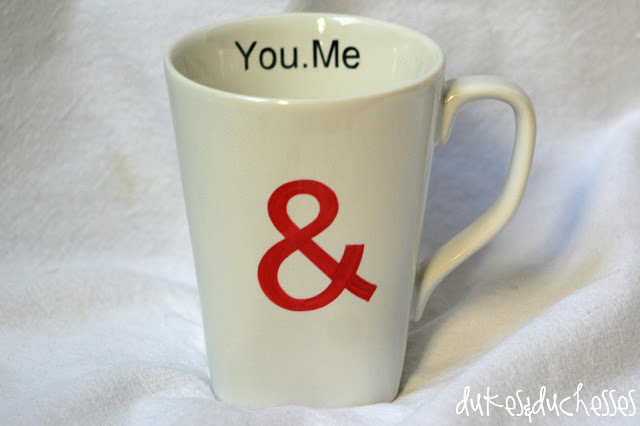 Transform a plain white mug with Sharpies for a completely unique DIY Valentine’s Day gift. 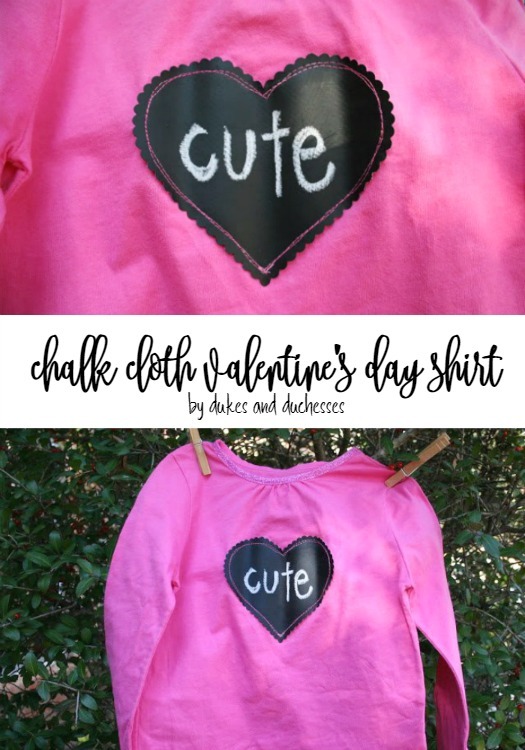 Chalkboard fabric is used to create this Valentine’s Day shirt with a message that can be changed again and again. This cute DIY Valentine decoration is made out of a precut wooden heart. Colorful red and pink buttons are added in a random pattern for a fun, easy creation. Valentine’s Day just screams out for puns and these punny Won’t Zoo Be Mine treat toppers are perfect for baggies full of animal cookies! This jar is filled with sweet love notes for your family. Encourage everyone to write notes to everyone in your family and read them aloud during Valentine’s Day dinner. You’ll treasure them always! This Bingo game in a jar is a great gift for friends and neighbors. It includes everything you need for a fun Bingo game. These DIY Valentine’s use mini cereal boxes instead of candy treats. They’re a fun alternative to all that candy that your kids will receive at their Valentine’s Day parties. It’s cerealously cute too! There’s plenty of fish in the sea, but let your kids know they’re the only one for you with these Goldfish cracker themed Valentine’s Day cards. They’re o-fish-ially the best! You auto be my Valentine! This vintage car Valentine’s Day card is full of vintage charm. A heart shaped cookie cutter, pink frosting and candy eyes are all you need to create these funny monster heart brownies. Decorating Valentine’s Day card boxes is a fun tradition! If you need cute Valentine’s Day card box idea for boys, this pirate one will fit the bill. This safari themed Valentine Box is the cutest way to make your heart go wild! If you have a Mickey or Minnie lover in your house, you can’t go wrong with these adorable Valentine card boxes. These fun edible pop tart Valentine’s are the best way to send your kids off for a great day! Use decorative icing to write a sweet message on the pop tarts. If your kiddo isn’t into the mush and love of Valentine’s Day, they can still send out cute cards to their classmates. These cards are joined by fun sunglasses for a one-of-a-kind Valentine printable. Giving gifts doesn’t have to be limited to the winter holidays! If you love to give gifts for Valentine’s Day, use this printable to add a custom touch to your gift! Everyone’s favorite cookie goes perfectly with this Oreo themed Valentine’s Day printable! These mermaid Valentine cards perfectly match adorable mermaid gummy candies! It’s a card and a treat all in one. If you’re a fan of Friends, you know just what it means to call someone your lobster! This cute cut file for a Cricut or Silhouette machine creates a perfect DIY Valentine’s Day shirt. Get ready to stick together, Valentine! This DIY Valentine’s Day printable card is on trend and adorable. Loving someone else is easier when you love yourself first! This Valentine’s Day DIY shirt is full of all the wisdom you can fit on a T-shirt! These free love themed art printables add a touch of Valentine’s Day to your home’s decor. Choose one or create a trendy gallery wall with these printables. Get punny with this great buns free Valentine printable. Add them to some bakery treats for a sweet gift. Don’t go bacon my heart! Show off your love of bacon with this DIY Valentine’s Day shirt that’s perfect for both boys and girls. These darling cheerleader inspired Valentine’s Day printable cards are on standby to cheer you on this year. Go team! Give your Valentine’s all the heart eyes with these free Valentine’s Day printable cards. Add a cute pair of glasses and you’re done! A frame from Ikea and a free cut file from Tauni create instant Valentine’s Day decor. Change it up by swapping out the colors and cardstock and create a design that’s all your own. Get hooked on a feeling with this Guardians of the Galaxy inspired free Valentine’s Day printable. This donut themed printable is the perfect way to send sweet treats to friends and classmates. These cheeky Netflix and chill pillow is the perfect saucy Valentine’s Day message. It can be made in under 30 minutes and for under $12, too! If Netflix and chill isn’t quite right for your decor, consider this sweet Cuddle Weather message instead. Or, put one on either side for an instant room flip that’s perfect for any company. This funny Valentine’s printable is perfect for a gift card for a Mexican restaurant or fast food joint. Yum! It’s a-dough-able! These darling gift tags are perfect for Valentine’s gifts or any other gift giving event! Pair them with a sweet gift for a unforgettable present. These paper hearts add a pop of color wherever you hang them. Create a mobile of hearts or place them randomly throughout your home for instant Valentine’s Day decor. Take normal red hots and make them perfect for Valentine’s Day by melting them into heart shaped molds. These easy candies are great for even the busiest mom. 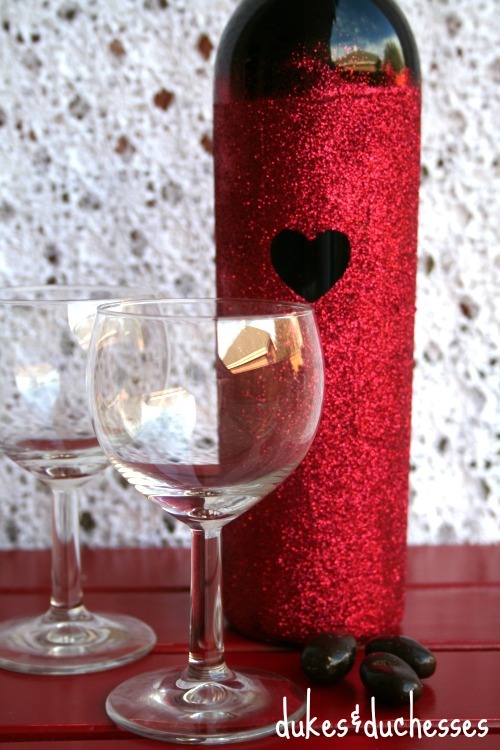 If you’re bringing a bottle of wine to a get together or you’re celebrating at home, this DIY glittered wine bottle is a great way to celebrate. It’s easy to create with just some mod podge and glitter. Sweets for your sweet! This red and pink Valentine’s Day candy box is an ideal gift for teachers, friends or anyone else in your life. Whether you’re planning a classroom party or are just having a few friends at home, these Valentine’s Day party ideas for kids will help you plan a fun and easy party. Hey Valentine, you stole a “pizza” my heart! This pizza themed Valentine’s Day party for kids has everyone’s favorite meal – pizza! Celebrate your love for your family with these cupid floats! Add a few words of love with special love notes with folded paper napkins. If your Valentine’s Day includes the whole family, this fun Cupid’s Cafe dinner party is the perfect way to celebrate. The DIY menu card means that kids just might eat dessert first! Fun, creative Valentine’s Day boxes are all the rage this year! These two Valentine card box ideas are adorable and work well for both boys and girls. Unicorns have been a hot trend for a few years now and there’s no sign of them slowing down! These unicorn card boxes are a great way to hold all your kiddo’s cards and candy. These DIY conversation heart boxes are made out of paper plates and personalized with one-of-a-kind messages. Paint them in any color and then fill them with treats that your kids can give out to all their friends. A paper doily is a versatile craft supply and they are just perfect for Valentine’s Day crafts! Stitch two together and you have a paper pocket that is a great way to give out Valentine’s Day treats. Who says that an advent calendar is limited to Christmastime? If you mix a little paint with dishsoap, you can create a DIY Valentine’s Day advent calendar with scratch off sections that list all the reasons you love your family. Dress up a plain old juice box with some scrapbooking paper, googly eyes and some construction paper. The best part? It’s a craft activity and a snack all in one! Painting rocks is a popular activity and kids will love to help create this tic tac toe Valentine’s Day game. It’s all packaged in a jar with a free printable game board and makes a fun gift for your kids or their classmates.